GlobalUnis Terdusult Consult Limited - a reputable education company seeks the services of Marketing and Sales Reps for its Accra activities. Having a laptop is NOT a must but a very STRONG advantage since online research, emailing and VOIP are vital. Tell all your sales and marketing friends to apply. We are accepting at least 200 new staff. 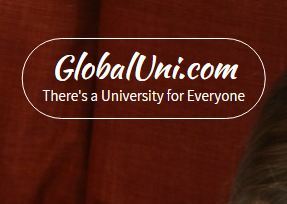 • Develop new channel opportunities with overseas educational institutions. • Willingness to learn and share knowledge. • Candidate should be committed, hardworking and ready to adapt to different working conditions. • Candidate should be comfortable with the English language both in writing and speaking. • Candidate must have good inter-personal relations. • Candidate should be able to multitask, work under pressure, and within deadlines. Having a laptop is NOT a must but a very STRONG advantage since online research, emailing and VOIP are vital. • Have a chance of working in one of the leading and high growing startups in Ghana. • Gain a working experience in a globally focused company. • Get to join a loving and respectable team that is focused and determined to creating wealth and employment in West Africa and beyond. • Get to work in a challenging and very dynamic environment to develop your personal skills. • Chances for fast promotion if you prove to be a valuable part of the team. • We are a start-up so the more skills you have, the better. We need people who are self-sufficient and goal oriented. Before applying, please carefully read the requirements to know if you are a good match for the team. Having a laptop is NOT a must but a very STRONG advantage since online research, emailing and VOIP are vital. Apply now --- Tell all your sales and marketing friends to apply. We are accepting at least 200 new staff.